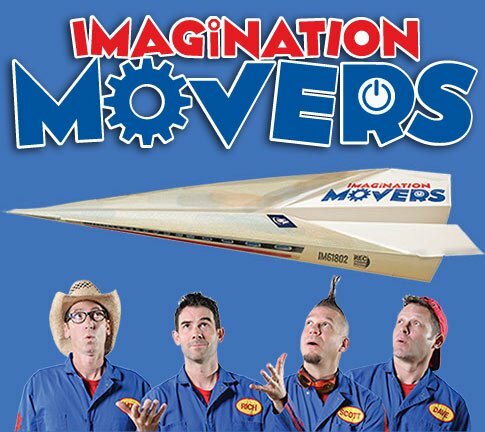 The Imagination Movers return to the Cabot Theatre in Beverly, MA (25 miles outside of Boston) to perform their high-flying (toilet paper that is), smoke ring-skying (can you say, "Vortex! "), and new song stylings show for all to enjoy. 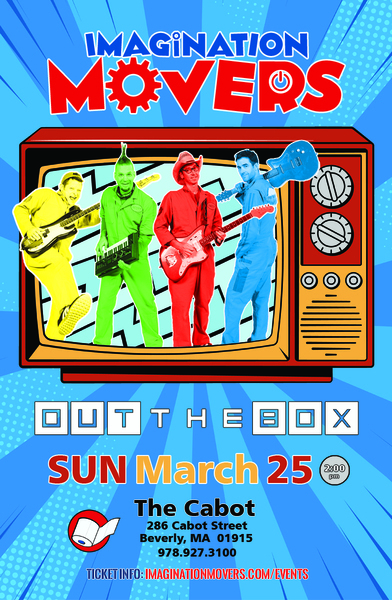 Come spend an amazing and interactive Sunday with your family and the Movers as they rock the house, starting at 2 pm. Meet and Greet packages available.